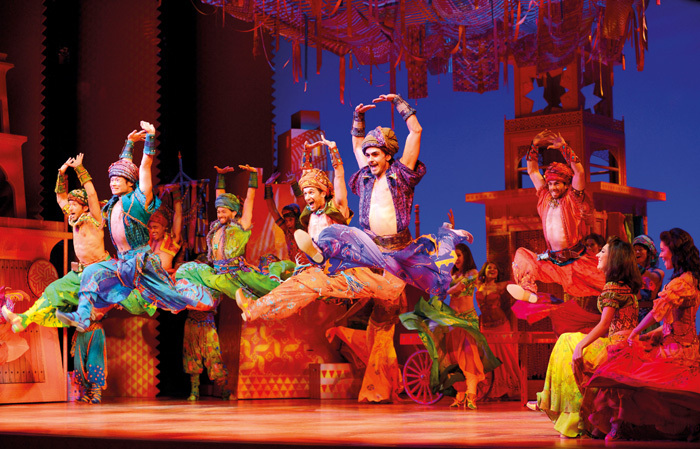 In Britain we think of Aladdin as a panto, but Disney has turned it into a splashy, spectacular Broadway musical based on the studio’s Oscar-winning 1992 animated film. 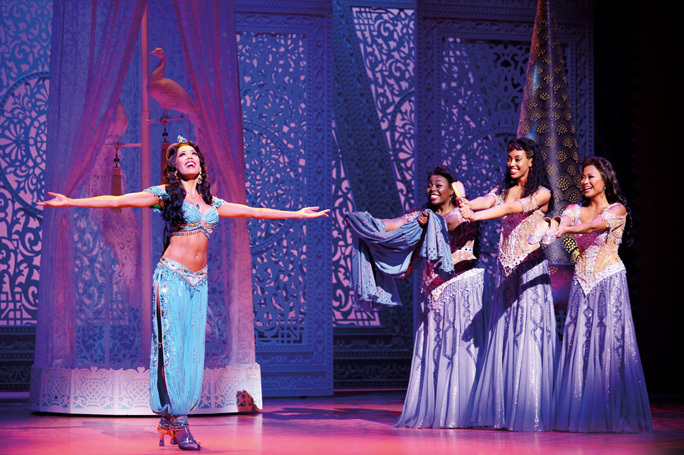 The movie version picked up awards for original score and original song, for A Whole New World, and was globally the most commercially successful film released that year. Now it joins the company’s parallel Broadway franchise of film-to-stage translations – including the ongoing Broadway and West End versions of The Lion King (now the top-grossing entertainment in any genre or medium of all time). There’s no denying that Disney knows how to deliver quality family entertainment, and while British musicals like Billy Elliot or Matilda may have a more effortless, breezy and heartfelt sophistication, the resources thrown at the stage here and the sheer sense of spectacle, is awe-inspiring. 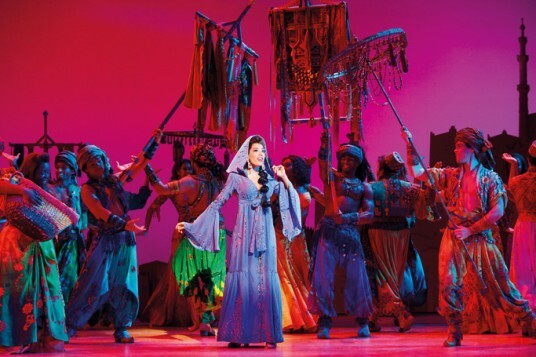 Stage musicals have previously featured flying cars, glass elevators,and helicopters, but here the audience is invited to hop aboard a magic flying carpet along with homeless urchin Aladdin as he courts the beautiful Princess Jasmine, with the assistance of a genie summoned from a lamp. 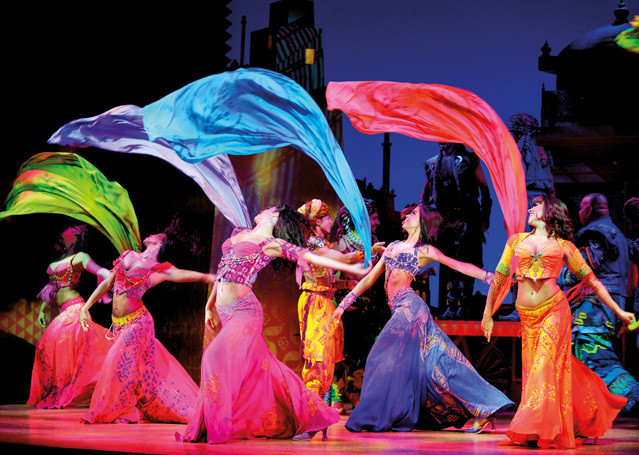 The show is set in the fabled city of Agrabah, which we’re told has “more glitz and glamour than any other fictional city within the world”, and Bob Crowley’s astonishing designs live up to that description; they gleam, glitter and sparkle like nothing else in the West End. You could accuse it of leaving absolutely nothing to the imagination, but the human contributions allow for more quirky revelations of character. 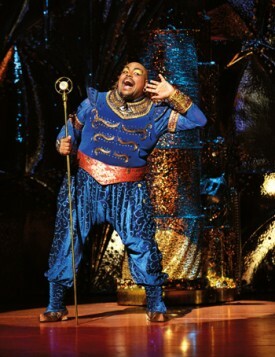 Trevor Dion Nicholas, who was the Broadway standby to the Tony-winning James Monroe Iglehart as the Genie, now inherits the role for himself, and his performance is at once hilarious and lovable. 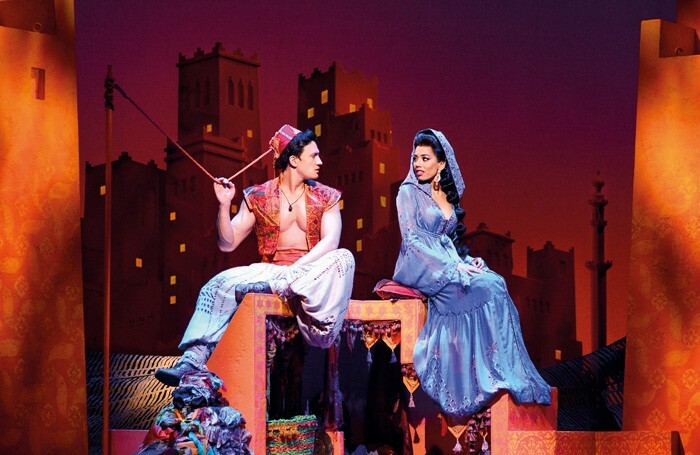 Aladdin and Jasmine are slightly insipid characters, but Dean John-Wilson and Jade Ewen lend them a cute sincerity. There’s also some enjoyable colouring from Don Gallagher and Peter Howe as the baddies Jafar and Iago, while Nathan Amzi, Stephen-Rahman Hughes and Richard Sabitri are good fun as Aladdin’s friends and sidekicks. 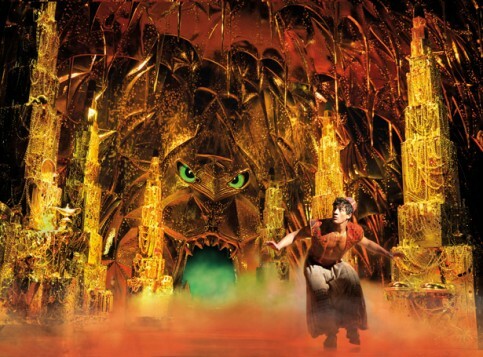 Alan Menken’s irresistibly tuneful score, with lyrics by the late Howard Ashman and Tim Rice, is beautifully rendered under the musical direction of Alan Williams, and director and choreographer Casey Nicholaw takes it all home with a staging that nails every number with brilliant showmanship.